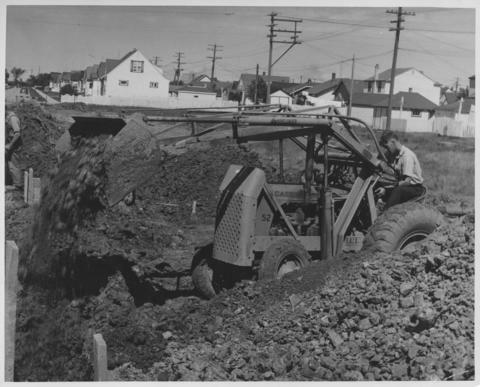 Photograph shows excavation being done in a residential area. - Stamp (on verso): M. J. Sym, Photographic Laboratories, 274 Main Street, Winnipeg, Man. Phone 93 395. - Date of photograph is uncertain, [195-? ].